Anyone who has flown recently in Canada knows that there is currently a premium being placed on the overhead luggage space. At the root of all of these examples is the need to solve a problem creatively and cost effectively. Air Canada, are you read to challenge convention, disrupt and innovate? Anyone who has flown recently in Canada knows that there is currently a premium being placed on the overhead luggage space. 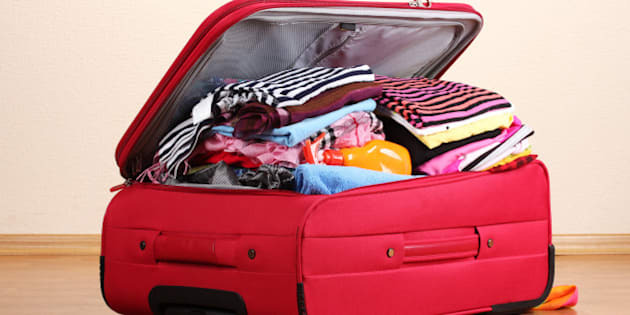 It's all being driven by the decision by airlines to charge for checked baggage. In an effort to save money, many are jamming their life possessions into carry-on bags and sitting sheepishly in the boarding area as the inevitable pre-boarding announcement explains, "we are facing an overload situation, please consider checking your bag at the gate for free." Few do and too many bags enter the plane. The flight is delayed in order to put some in the cargo space last minute, and inevitably some of those bags go missing, not making their connecting flights. And it's about to heat up even more. Air Canada plans to police carry-on bag sizes more stringently over the coming busy summer air travel months, turning folks back at security who appear to be pushing the limits of carry-on luggage. They will be asked to return to the check-in counter to park their bag. The inevitable frustrations with this process, as well as continued flight delays and lost bags as a result, is bound to boil over into social media as frustrated fliers hit Facebook, Instagram and Twitter. I can almost predict the Twitter hashtags now: #stuffitAirCanada #AirCanada #getStuffed or #IgotStuffed. I suspect it could gain the same traction as #AirCanada #IgotRouged following the airlines switch of some pleasure traveler flights to smaller leg room Air Canada Rouge discount flights, which caught some pre-booked business travelers off guard. Doesn't anyone at the airline understand the power of the wired consumer these days, and more importantly the role that customers service now plays in marketing? It's all so predictable, wasteful and frankly, unnecessary. This problem begs for disruptive thinking and innovation. What if the airline flipped its model? What if they charged for carry-on and made the first checked bag free? This would rid them of crazy delays caused by the inevitable need to check some bags at the gate, plus the practice would essentially allow business travelers, largely the traditional carry-on crowd, to pay for the service of keeping their bag in sight so it doesn't get lost, have a quick exit from the airport, and the overall ability to keep flights running on time. The masses would once again flock to the cargo hold with their ballooning bags if it were a cost savings. The problem would be solved. By challenging the industry now default convention; Air Canada would stand out as an innovator. Sometimes it's advisable to step back from industry practices and do things differently. Samoa Air challenged convention by charging passengers for air travel based on their weight. Yes, you read that correctly! Customers noted their weight when booking a flight and were charged per kilogram. Then when they checked in, their luggage was weighed, and they were charged for the difference. Admittedly the company had a monopoly on the market, and could take such drastic measures to solve a flight weight issue on their small aircraft being used. I'm not sure this would be a popular or practical solution in North American these days! But it certainly is innovative. Meanwhile, Delta is trying to speed up boarding times by pre-loading carry-on bags above passenger's seats on some flights. Basically they are hinging a bet that they can be more efficient than customers at loading bags, and can deal with the need to check oversize bags on the spot without delaying flights. If executed well, it could also introduce an element of old fashioned air travel class to the experience of being transported in a large sardine can in the sky. This system would also solve the pesky problem of that guy seated at the back of the plane dumping his bag in your overhead up front as he passes through. Researchers from Norther Illinois University estimate that it costs $40 for every minute an aircraft sits idle at the gate. Multiply that by thousands of planes worldwide, and we're not talking chump change for the airlines. The problem goes beyond customer frustration and a social media backlash. It goes to the bottom line. At the root of all of these examples is the need to solve a problem creatively and cost effectively. Air Canada, are you read to challenge convention, disrupt and innovate?